Suffolk House Antiques | Summer Selling/25th Anniversary Exhibition. This year's Summer Selling Exhibition, which opens on Saturday 21st May and runs until Saturday 18th June, also celebrates the 25th anniversary of opening my shop in Yoxford. As usual the exhibition will include an eclectic mix of some ninety pieces of early oak and country furniture and associated works of art. 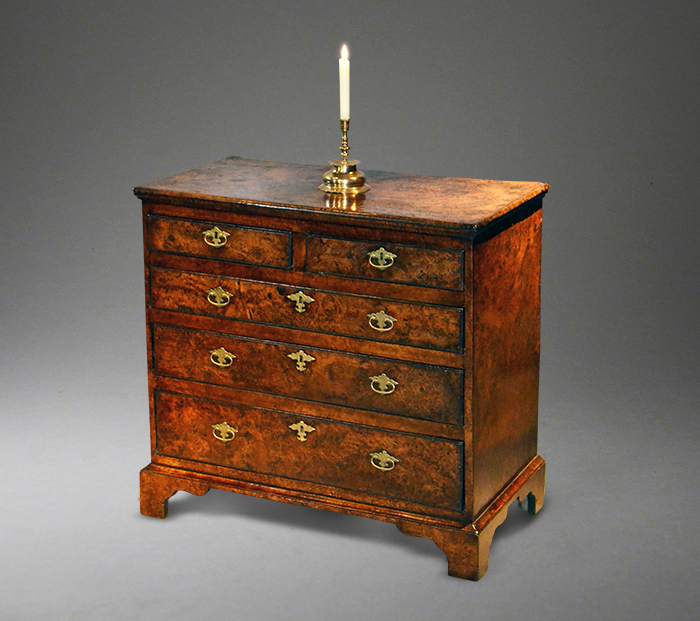 Furniture ranges from an extraordinary collection of nine 17th century oak joint stools put together by an eccentric collector from Norfolk to a small but untouched Charles I oak full tester bed and a charming little George I burr oak chest of drawers. 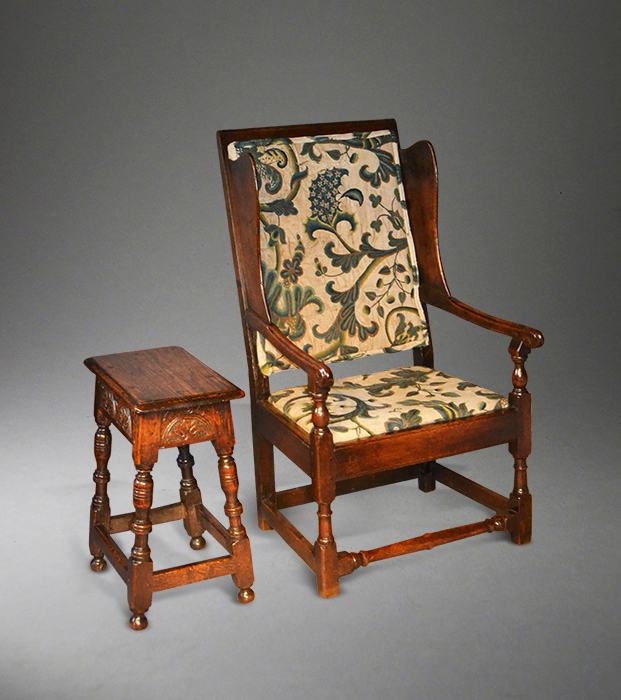 Other woods such as burr elm, walnut and yew wood are also well represented. Amongst the works is a stunning Queen Anne cut parchment depiction of Adam and Eve in the Garden of Eden, an English delft blue dash charger with depicting the same subject and some very interesting early carvings. I have put many of the pieces on the website under Summer Selling Exhibition 2016 and will continue to add pieces right up to 21st May. I hope that you will be able join me for a glass or two celebratory wine over the opening weekend of the exhibition.